This fabulous, completely renovated 630-room village-style resort offers refreshed rooms, a great variety of restaurants and bars, beautiful gardens, and wonderful pool areas. Riu Tequila takes the limelight when it comes to affordability and family-friendly concepts. 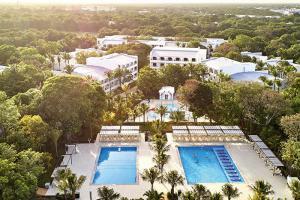 Across the street from Riu Yucatan, it offers easy access to the beach club and its two sister properties. This family-friendly resort offers a great vacation value, from live entertainment to an array of activities including non-motorized watersports. Distance from the airport - 34 miles, Distance from Cancun - 42 miles. El Kiosko, Lupita, Maguey, La Pinata, Beach Club, Jalisco Restaurant, La Lupita.